The methodology for The BPI Blueprint is based on action learning, which calls out for the best type of action - learning and working on your real project with opportunities for feedback and discovery. 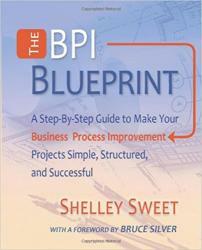 Done right, BPI projects engage the minds and hearts of leaders and teams, which can lead to amazing outcomes and fun! keep moving projects forward effectively.